FAST, FUN, EASY AND CHEAP! We offer one of the easiest Driver Education Course on the Internet! To get a learner’s permit students are generally required to take a driver education class that includes both classroom time and driving time with an authorized instructor. 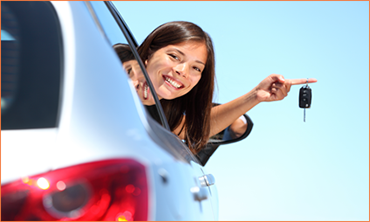 We offer driver education programs that allow teenagers to complete this requirement from their home. Driver Education classes or physical driving schools are often a boring, expensive, or just plain inconvenient way to fulfill your driver education requirement. Teens, just like everyone else, want the freedom to learn to drive when they want to and at their own pace! Please click on your state to learn about the different driver education options we offer. You can order our driver education workbook or sign up for any of our driver ed home study programs online or you can call our offices at 1-800-482-6593. If you are under 18 and would like to get your drivers license, State Law requires that you first complete an approved Driver Education Program. The course may be completed in a traditional classroom with a live instructor or through a home-study course. In most states, once you complete your drivers education course and receive your Certificate of Completion, you can take the DMV written permit exam that is required to get your learners permit. 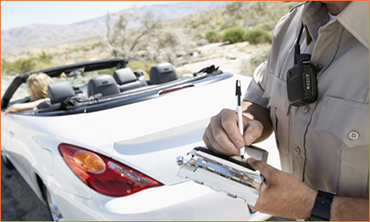 After you get a learners permit, you may start driving under the supervision of an adult. Why do I need to take a drivers education course? WHAT ARE THE BENEFITS OF TAKING DRIVERS ED FROM TEENDRIVINGCOURSE.COM ? Our driver ed course is approved by the Department of Motor Vehicles. Our course teaches you the fundamentals of safe driving. Operating a motor vehicle is a serious responsibility, which is why we teach you about driving laws in your state and the necessary skills to become a safe and responsible driver. What happens after I complete my Driver Ed Course? You are required to take the Learners Permit test at the DMV. When you’re ready to take your written exam our exclusive DMV practice exam software, PrepWizard, will prepare you for the real DMV exam. PrepWizard is an online testing program that contains thousands of real DMV Written Exam Questions designed to help you pass the real DMV Permit Test on your first try! DO YOU OFFER BEHIND THE WHEEL DRIVERS TRAINING? TeenDrivingCourse.com does not offer any behind-the-wheel training; however, our comprehensive “how-to” driving instruction DVD, Driver Ed DVD, provides step-by-step driving instructions and interactive quizzes and study guides that will help you prepare for the DMV driving test. 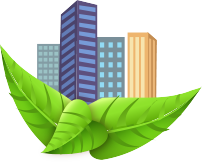 HOW CAN I BECOME MORE ECO-FRIENDLY IN MY DRIVING? The world as we know it is changing. It is becoming more and more important to not only be a safe driver but also an Eco-Conscious driver. Global warming affects each and every one of us and by following a few simple steps each time you get behind the wheel of a car, you can take make a big difference. I may be taking the online permit exam this week. What payment methods do you accept for the internet driver's ed or driver education or driver training course? You can pay for the internet driver education or driver training or driver’s ed class using a major credit card, an online check or you may choose to mail in a payment by check or money order. Payment must be made prior to completing the final test. TeenDrivingCourse.com also allows you to go through the entire online driver’s ed course up until the final test without paying! This way, if you’re not 100% satisfied with the internet driver education course that allows you to earn your learner’s permit or driver’s license, you don’t have to pay for it! If I need special shipping for the completion certificate, am I able to select this option at registration for the TeenDrivingCourse.com online driver education or driver training or driver's ed learner’s permit class? Yes…at registration, you can select your shipping method! TeenDrivingCourse.com provides several convenient shipping options for the online driver’s ed or driver training class certificate of completion including regular and certified US Mail, as well as expedited mailing options through Federal Express. If you select regular US Mail, the online driver’s ed or driver education course certificate will be delivered in 7-10 business days. Or, if you choose Federal Express, you have the option of selecting Priority Overnight delivery (on or before 10:30AM the next business morning), Standard Overnight (by or before 5PM the next business day), Second Day (by or before 5PM on the second business day) or Express (by or before 5PM on the third business day). Also, if you [complete your internet driver’s ed course on a Friday, TeenDrivingCourse.com also offers Saturday Federal Express delivery (by or before 12PM). I am concerned about giving out a credit card number when I pay for the internet driver's ed or driver training or driver education course. Is TeenDrivingCourse.com a secure site? TeenDrivingCourse.com uses the very latest in SSL data encryption technology to be certain that all of our customers’ personal and payment information is 100% secure. We also provide several other payment methods for our internet driver’s ed or driver training or driver education classes, including check and online check. I need to receive my drivers license soon. What is the cost of the TeenDrivingCourse.com online driver education or driver training or driver's ed program? TeenDrivingCourse.com driver’s ed or driver training or driver education course costs vary by state and course format. In most states, TeenDrivingCourse.com offers an internet driver education course, a video driver education class and a streaming video driver education class. The price for each of these initial driver training or driver education courses varies. When you choose the state in which you have to sign up for an online learners permit or drivers license course, you will see a list of all available driver’s ed course details and prices. Am I allowed to enroll in the TeenDrivingCourse.com online driver's ed or driver training or driver education class if I am 15 years old? You must be at least 15 1/2 to sign up for driver’s ed or driver training in order to receive your learner’s permit and you must be at least 16 to earn your driver’s license in most states. Also, prior to registering for our online driver education, DVD driver education or streaming video driver education and learner’s permit classes, we strongly advise that you contact the licensing authority in your state. I need to complete the TeenDrivingCourse.com online driver education or driver training or driver's ed permit test soon. Am I allowed to retake the permit exam if I do not satisfactorily finish it the first time? Yes! 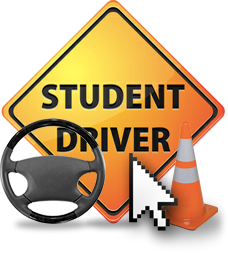 Once you finish the TeenDrivingCourse.com online driver training or driver education or driver’s ed course, you must take a final test that will cover the same rules of the road, learner’s permit, safe driving and driver’s license lesson materials that you studied in the internet driver’s ed course. If you don’t pass the driver’s test on your first try, you can retake it as many times as necessary until you pass – at no additional cost! Therefore, you are 100% guaranteed to pass the TeenDrivingCourse.com online driver’s ed course! If I complete the state-approved internet driver's ed or driver training or driver education course, can I get any type of insurance reduction? It is possible. TeenDrivingCourse.com suggests that you or your parents speak directly to your auto insurance agent about whether completing an approved online driver’s ed or driver training course qualifies you for a safe driver insurance reduction. Although some insurance carriers offer safe driver discounts for new drivers who pass a state-approved internet driver education class, that may not be the case for some carriers. I am unsure if I have the time to finish the TeenDrivingCourse.com internet driver's ed or driver training or driver education class all at once. Am I allowed to take any breaks? Of course! TeenDrivingCourse.com understands that most teens have very busy schedules due to their homework and after school activities. Our internet driver’s ed or driver training classes permit you to start and stop the internet driver education or driver training program as often as necessary! You may review the driver training course materials for an hour or two and then take a break. At TeenDrivingCourse.com, you can set your own daily routine and work at your own pace! I have to get through the internet driver permit exam. What is the total length of the TeenDrivingCourse.com online driver's ed or driver education or driver training class? Many of our internet learners permit and driver license classes are around 30 hours in length; however, you should pick your state in order to get detailed internet licensing requirements before enrolling in an online driver education or driver training course. In addition, the total online driver education or driver’s ed class length varies according to the rules of the Department of Motor Vehicles (DMV), Department of Education (DOE), Department of Public Safety (DPS) or other licensing authority in your state. If I am not completely happy with TeenDrivingCourse.com's internet driver education class, can I request a refund? Of course! You may request a refund for the home-study online driver’s ed or driver training course at any time before the completion certificate for the learner’s permit or driver’s license is processed and shipped. If you chose the “Pay Later” option during the internet driver’s ed class registration, you can simply withdraw from the driver education program without paying! Unlike many of its competitors, TeenDrivingCourse.com understands that customer satisfaction is the most important part about offering the online driver’s ed, driver education, learner’s permit, driver’s license and first time driver courses so we want to make sure that you’re happy! Does the TeenDrivingCourse.com internet driver education or driver's ed or driver training course have any special feature that helps students with reading large amounts of text? Yes! TeenDrivingCourse.com offers a special “Read Along” feature in most of its online driver’s ed or driver training classes that will read the driver education class content aloud as you follow along on your computer. There is an additional charge for this service, but if you have difficulty with reading large amounts of text, or if you just prefer not to read large amounts of text, it definitely makes the online driver’s ed course easier! I need to complete the online permit exam, and I am not sure if TeenDrivingCourse.com is accepted by the Department of Motor Vehicles (DMV) or Department of Education (DOE). How can I find out for sure? TeenDrivingCourse.com will disclose the approval status of our online driver education or driver’s ed or driver training program after you select your state during online driver’s ed or driver training registration. If our internet driver education or driver training course is not accepted, you will see a disclaimer that says that our online driver education class, streaming video driver education course and DVD driver education course are to be used as learning supplements to a state-approved driver education course. I need to complete my online driver permit exam soon. Are there any quizzes in the TeenDrivingCourse.com internet driver's ed or driver training or driver education class? Yes. There will be a brief multiple choice quiz following each internet driver education or driver’s ed or driver training class lesson. Also, you may complete the driver education quizzes as many times as necessary in order to successfully complete the online driver’s ed class, but the driver’s ed quiz results will not go against your overall internet driver’s ed course score. The first time driver quiz questions are meant to prepare you for the final test. I need to receive my driver’s license soon. Is the TeenDrivingCourse.com internet driver's ed or driver education or driver training program self-timed? Almost all of the TeenDrivingCourse.com online driver education or driver training classes are self-timed, meaning that there is no timer that keeps track of the time that you’ve spent reviewing the online driver education course materials. However, this is not the case for all online driver education or driver’s ed classes in all states, and therefore you should select your state for more detailed information about first time driver requirements in your state. After I complete the TeenDrivingCourse.com online driver's ed or driver training or driver education course, what do I have to do next in order to get my learner’s permit or driver’s license? Generally speaking, in most states, you have to get through two stages of driver’s ed: a classroom driver education course and a driver training course. At TeenDrivingCourse.com, we offer state-approved classroom internet driver’s ed courses, but we do not offer the ‘behind the wheel’ driver training. When you get through our home-study online driver’s ed course, you will have to find a driving school in your area in order to meet the second portion of your driver education requirement. Then, when you complete both parts of your driver education, and if you meet the minimum age and learner’s permit holding requirements, you may apply for your driver’s license. At registration, please choose your state for more detailed information regarding the licensing requirements in your state, and how our internet learner’s permit and internet driver’s license courses work. Is there any coupon that is offered to me when I complete the TeenDrivingCourse.com internet driver education or driver's ed or driver training course or the online driver license test? TeenDrivingCourse.com offers seasonal reductions and “Refer a Friend” discounts 365 days a year, and also provides the lowest internet driver’s ed or driver education or driver training class prices in the industry! Also, if you know another person who has finished a TeenDrivingCourse.com online driver’s ed or driver education or driver training course, ask him or her if they have their “Refer a Friend” referral code. You will get a reduction on the internet driver education or driver’s ed or driver training course and your friend will earn a commission! After you complete this online driver education program, you will then get a Refer a Friend code which you can post on your Facebook page or share with your friends! This is a fast and easy way to make extra money at TeenDrivingCourse.com! How can I best prepare for the DMV written exam while I finish the TeenDrivingCourse.com online driver education or driver training or driver's ed course? A revolutionary new TeenDrivingCourse.com online driver education or driver training class learning supplement called ‘Exam Prep’ can assist you in passing the written learners permit exam at the DMV on your first attempt. Exam Prep contains hundreds of authentic DMV written exam questions that are administered to you at varying degrees of difficulty. Additionally, the driver education or driver’s ed questions are given to you online, under simulated testing conditions, so that you are fully prepared to pass the written DMV exam on your first attempt! What is the expiration date of the TeenDrivingCourse.com internet driver's ed or driver training or driver education class certificate of completion? 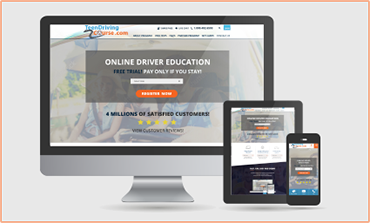 Once you successfully finish the TeenDrivingCourse.com accepted driver education or driver training class, your internet driver’s ed certificate will expire 6 months (180 days) from the date of your online driver training class completion. Generally after 6 months, the Department of Motor Vehicles (DMV), Department of Education (DOE), Department of Public Safety (DPS) or other licensing authority will no longer recognize your completion certificate and you will have to re-take the online driver’s ed course with TeenDrivingCourse.com or another online driver education training provider.